Welcome To Pacific Chiropractic, Renton's Premier Chiropractic And Massage Clinic! Pacific Chiropractic provides quality care to patients through the expertise of Dr. Dat Lu and Dr. Jay Ryu. Pacific Chiropractic has proven experience and success in treating back, neck, spine, and musculoskeletal injuries. Dr. Lu and Dr. Ryu specialize in auto injury and work place injury cases. If you've been in an auto or work related injury give us a call today. 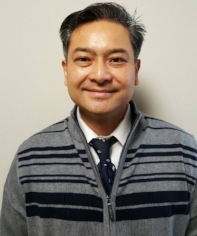 Dr. Lu has over 17 years of experience as a chiropractic doctor and he is one of the most sought-after and most respected chiropractors in Seattle and in the Vietnamese community. Dr. Lu specialized in treating chronic and acute neck, back pain, and migraine. He especially enjoys challenging cases that cannot be resolved with conventional treatments and medications. Dr. Lu is patience and gentle and he is committed to providing the highest quality of chiropractic care to each and every patient that comes to his office. Dr. Lu is married, has two children and enjoys martial arts practice. He is a third degree black belt in karate, and loves to travel. Jay Jihoon Ryu D.C. attended the University Of Western States College Of Chiropractic where he received a Doctorate in Chiropractic. He has been working at Pacific Chiropractic since 2014. Dr. Ryu has achieved outstanding success with patients suffering from acute neck pain, back pain and extremities. Dr. Ryu has been providing care not only for patients who have suffered from personal injuries such as work injury and auto injury, but he has also helped patients who have suffered and complained about musculoskeletal pain. Dr. Ryu spends his extra time out of his office with his beautiful wife and two daughters, travelling the Pacific Northwest and watching sports events. 안녕하십니까, 카이로프랙터 류 지훈입니다. 저는 오레곤주 포틀랜드에 소재하고 있는 웨스턴 스테이츠 카이로프랙틱 대학에서 카이로프랙틱을 수료하고 현재 와싱턴주 렌튼에 위치한 퍼시픽 카이로 프랙틱 클리닉에서 교통사고및 직장상해로 인하여 목/허리디스크,두통,좌골신경통,오십견 등으로 힘들어하시는 환자들을 치료하고 있습니다.